The 2017 NFL Scouting Combine begins this Tuesday, and there are a lot of players who are looking to hopefully raise their NFL Draft stock with some elite performances in Indianapolis. The annual "Underwear Olympics", as pundits call them, are where future NFL stars are poked, prodded, questioned, drilled, and put through the ultimate ringer as their quests to professional football continue. A lot of information can be gleaned about a prospect at the Combine, and this set of data can have a lot to do with where a player ultimately ends up come Draft Day. One of the current Cowboys stars, Byron Jones, put on a display at the 2015 NFL Scouting Combine. The braintrust of the Dallas Cowboys - Jerry Jones, Stephen Jones, Jason Garrett, and Will McClay - have done an outstanding job over the last few seasons in terms of evaluating and drafting talent for their team. What exactly did the braintrust see in certain players that made them want to put Stars on their prospective helmets? 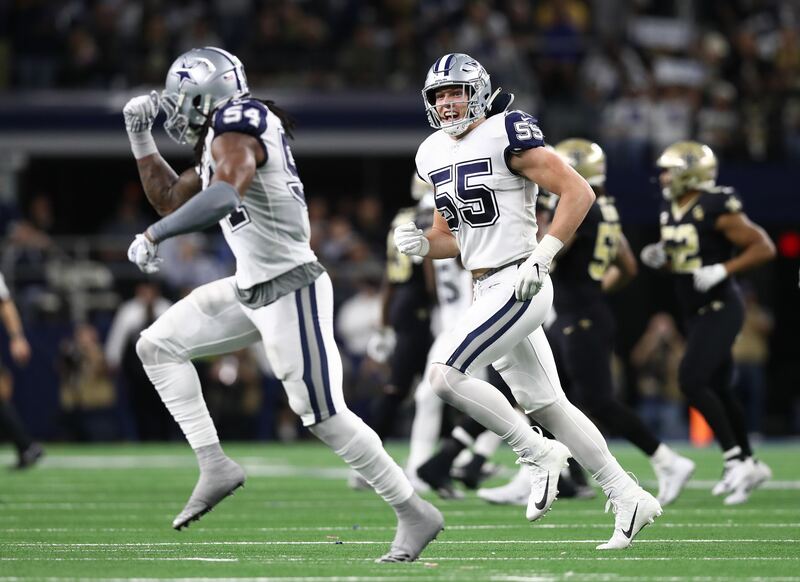 With the NFL Scouting Combine happening this week it felt like a great time to throw on our hindsight-vision to see what certain Dallas Cowboys Stars - no pun intended - showed off when everything was on the line. So kick up your feet and relish in the greatness you're about to see. This was where it all began for these five players, the road that led to Dallas and - in a little under a year from now - Super Bowl LI. Isn't it amazing how long ago 2014 was? DeMarcus Lawrence found himself being taken by the Dallas Cowboys in the 2nd Round of that Draft (after Dallas traded up to get him) as America's Team looked to fill the void left by another DeMarcus, who wasn't re-signed in Free Agency a month earlier. "Tank" as Lawrence is known, has had a three-year career that very closely resembles a sin/cos curve. He's had moments that have been star-studded, plays where he's looked pedestrian, and a suspension that shortened his 2016 season. Lawrence's Scouting Combine performance was indeed three years ago, which means this season is a contract one for him. My how time flies! Watch UConn DB Byron Jones set a world record at the 2015 NFL Scouting Combine. Subscribe to NFL: http://j.mp/1L0bVBu Start your free trial of NFL Game Pass: https://www.nfl.com/gamepass?campaign=sp-nf-gd-ot-yt-3000342 Sign up for Fantasy Football! http://www.nfl.com/fantasyfootball The NFL YouTube channel is your home for immediate in-game highlights from your favorite teams and players, full NFL games, behind the scenes access and more! There are players who perform so well at the combine that they get drafted a round or two ahead of projection, but then there are players that actually set world records at the NFL Scouting Combine! Byron Jones has always been an athletic freak, and that skillset was on display two years ago at Lucas Oil Stadium. It's fascinating re-watching Byron Jones' combine highlights when you consider how the Cowboys have used him since he was taken at #27 Overall. He's been used at cornerback, safety, on special teams, and shown a robotic ability to correct apparent physical ailments. "Late Night Ice Cream" - as I've affectionately referred to Byron - locked down his first career interception in 2016, so the best is ahead even though what's behind in terms of his Combine footage is phenomenal. LSU offensive lineman La'el Collins participates in the 2015 NFL Scouting Combine drills. 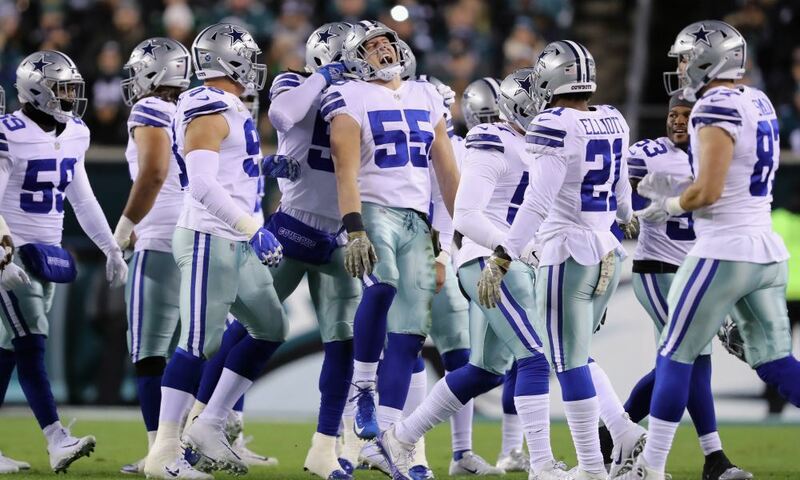 The 2015 NFL Draft was made all the more special for the Dallas Cowboys when Pro Football Hall of Famer turned on the Texas charm and swung the steal of the century in terms of Offensive Lineman La'el Collins. As you'll remember, La'el had a very unique and unfortunate circumstance surface just before the Draft that caused teams to panic on his potential with their club. Collins went undrafted which left him no NFL options except to sign as an undrafted rookie free agent, putting him in a unique situation as a top rookie - the ability to choose his new team. La'el Collins joined Tyron Smith, Travis Frederick, and Zack Martin to make the NFL's most formidable Offensive Line. That 80% of the line will be back and ready to take things to the next level in 2017, but it all began for La'el two years ago with some funny drills in weird outfits. 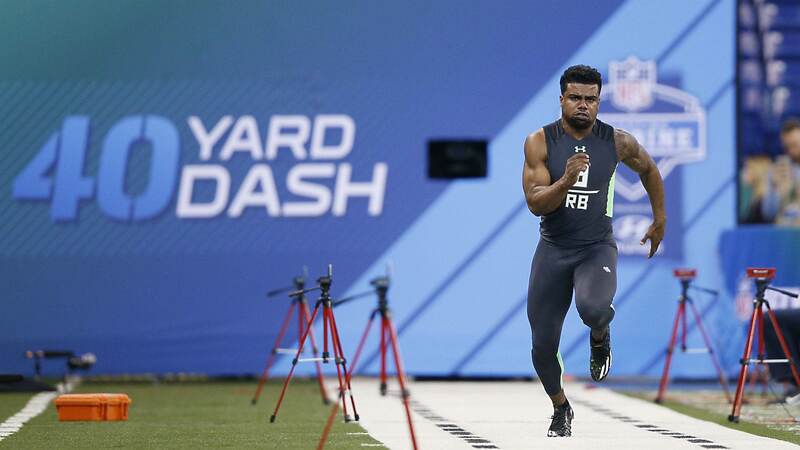 Ezekiel Elliott, RB from Ohio State, showing that he's one of the best at the 2016 NFL Scouting Combine. Subscribe to NFL: http://j.mp/1L0bVBu Subscribe to the NFL YouTube channel to see immediate in-game highlights from your favorite teams and players, daily fantasy football updates, all your favorite NFL Network podcasts, and more! Ezekiel Elliott was the consensus top running back in the 2016 NFL Draft Class long before the NFL Scouting Combine, but he cemented that status in Indy and perhaps did so with Dallas Cowboys eyes glued to him and his every move. Zeke would go on to lead the NFL in rushing as a critical member of America's Team, and his elite talents during the Combine showed that this was always a possibility for him and his game. Running backs like LSU's Leonard Fournette and Florida State's Dalvin Cook owe a serious debt of gratitude to Ezekiel Elliott as Zeke's 2016 season made drafting a running back early a fun and smart thing to do again. It all began here, and re-living it is a glorious practice for any member of Cowboys Nation. You cannot be a team that challenges for the Super Bowl if you don't have a franchise quarterback. It's a rule that's not written down anywhere in the NFL except for the championship banners that hang across various stadiums. The evaluation process for any NFL position is an incredibly difficult thing, but quarterbacks are their own freak of nature in this regard. 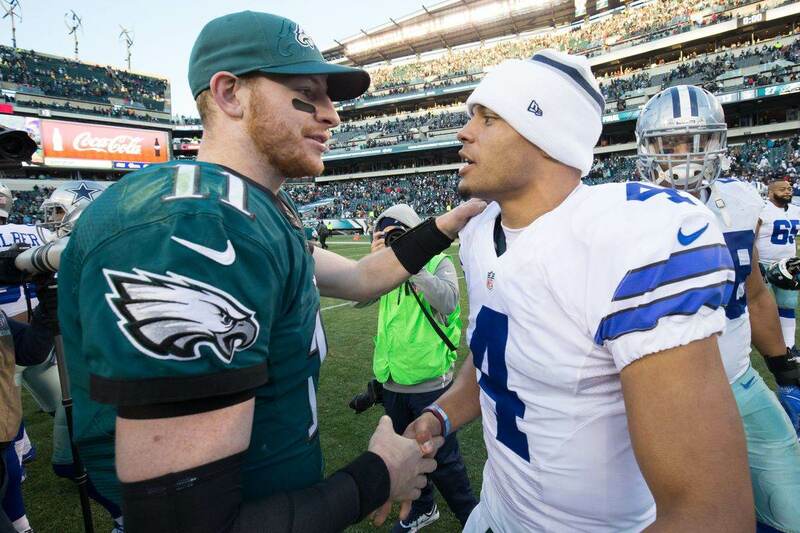 The most renowned minds to ever study and evaluate this sport all miss on a guy from time to time, and that's what happened with Dallas Cowboys Quarterback Dak Prescott. The NFL Scouting Combine isn't exactly an environment similar to an actual NFL game, and perhaps that's why people miss on certain players. You can only tell so much about a player watching him throw against air to guys he's never practiced with before. Whatever the case it's a great thing that when various sets of eyes saw this sampling of Dak Prescott they passed on him enough to let him fall into our laps, giving us stability at the most important position in sports for the next decade. If you want to get excited about someone who could make this list a year from now, check out Staff Writer Brian Martin's 10 Defensive Ends to watch for at the NFL Combine. Tell us what you think about "Watch Current Cowboys Stars During Their Days At The NFL Scouting Combine" in the comments below. You can also email me at RJ.Ochoa@SlantSports.com, or Tweet to me at @RJOchoa!